When a drunken debate between two recent college graduates about whose father would win in a fight is taken seriously by their idiot dads, jobs are lost, relationships ruined, futures destroyed, and best friends come of age as they come to grips with who their fathers really are. 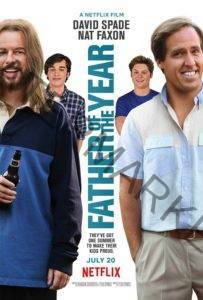 Starring David Spade, Nat Faxon, Joey Bragg, Matt Shively, and Bridget Mendler. If you like what read about Father Of The Year, please remember to share Netflix New Releases on Facebook, Twitter or wherever you guys want it’s all appreciated.